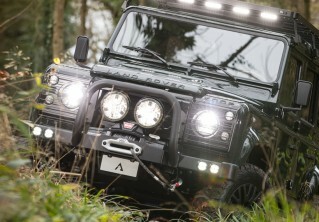 This classic Epsom Green Defender is the perfect balance of traditional accents and modern styling. A KBX® grille, WARN® winch and Front Runner® roof rack replace OEM accessories, making it better than the original. The Vintage Thatch leather trim also echoes authentic Land Rover style, whilst the Elite Sports seats upgrade this interior for today’s Defender owner. These iconic vehicles allow their owners to create that perfect work-life balance as both a daily driver and weekend explorer. Start your Arkonik journey today. I cannot wait to take my new Defender on a cross-country road trip, stopping at as many National Parks as I can. Check out LIBRA D110 Edition here or contact us for more information.